Las Vegas, NV – May 15, 2015 – Lithium Corporation [OTCQB – LTUM] “the Company” is pleased to announce that it has commenced a geophysical program at its BC Sugar flake graphite prospect in British Columbia. The Company is utilizing both Ground Penetrating Radar (GPR), and GEM-2 Electromagnetic (EM) techniques in the search for larger bodies of weathered, and easily extractable gneissic rock that may host economically significant concentrations of flake graphite. 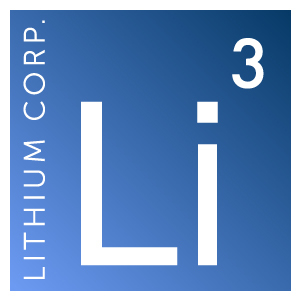 Lithium Corporation has engaged KLM Geoscience, LLC of Las Vegas to conduct the surveys on the Company’s behalf. This current report contains “forward-looking statements,” as that term is defined in Section 27A of the United States Securities Act of 1933 and Section 21E of the Securities Exchange Act of 1934. Statements in this press release which are not purely historical are forward-looking statements and include any statements regarding beliefs, plans, expectations or intentions regarding the future, including but not limited to, that the BC Sugar prospect may host economically significant concentrations of flake graphite, or the timing of or results from The GPR and EM surveys.